Receipt Uploads in Pandle allow users to link all their documents and receipts to the transactions they relate to. For example, if a supplier sends you an invoice for goods over email, you can save the invoice to Pandle and/or attach it to the supplier invoice you enter in Pandle. This means that you can easily find documents later by searching for the transactions. This feature also helps you keep a paperless office as everything is stored in the cloud, meaning it can be accessed by any user from any device anywhere in the world. You can also generically store documents in Pandle (even if they do not relate to a specific transaction). These documents can also be searched for and linked to transactions later if need be. Receipt Uploads is a Pandle Pro feature. To access it, upgrade your subscription from Main Menu > Subscriptions. Then head to the Company Settings menu, and under the Financial Info tab tick the checkbox which reads 'Business uses receipt uploads', then click 'Update Company'. There are multiple ways you can upload receipts to Pandle. The first is from the Tools menu. To do this go to Tools > Receipt Uploads. This will show you all previously uploaded files. 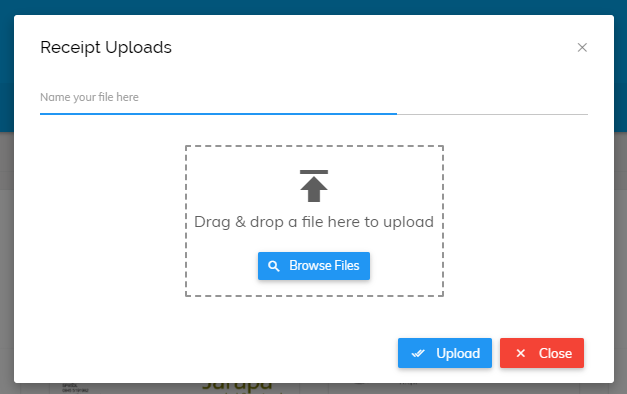 You can upload a new file from here by clicking on the 'Upload' button. Simply drag and drop your file into the box that appears, or click browse. Then select the file you want to upload and click 'Upload'. The second way to upload your receipts into Pandle is through Transactions. 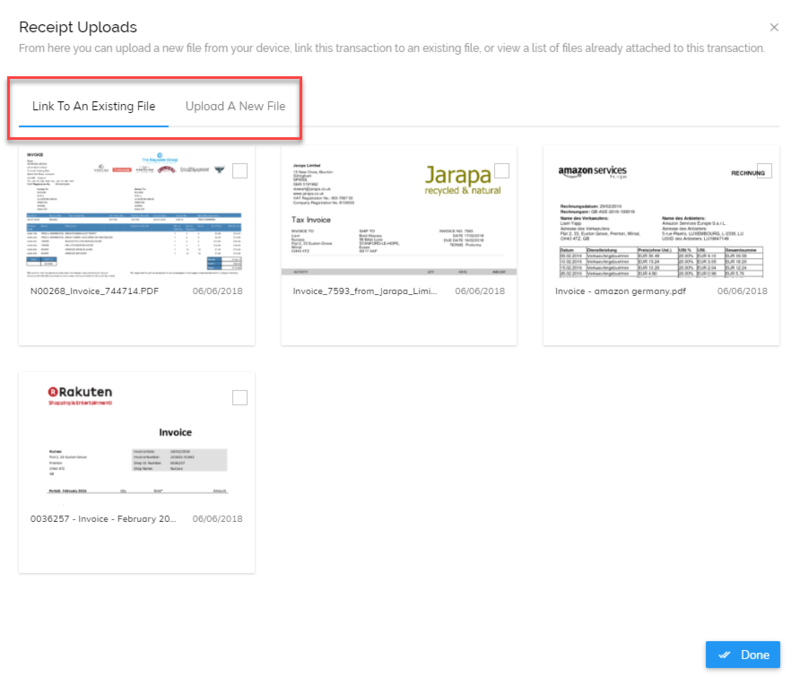 Clicking the 'Receipt Uploads' icon next to or in a transaction you are viewing means that the file will be associated with that transaction. You can then easily refer back to it later from that transaction. For example, when creating a customer invoice you can click the attachment icon and select from files already uploaded to Pandle or you can add a new one, as seen in the image below.